Do you remember when Original Source first hit our shelves with their Mint, Lemon or Lime shower gels? I was a teenager back then and thought they were the best thing ever! Today it’s not my usual choice to shower with but this caught my eye on the supermarket shelf, one sniff and it was in my trolley! The packaging is pretty much the same clean lines, clear labeling with a funky edge. 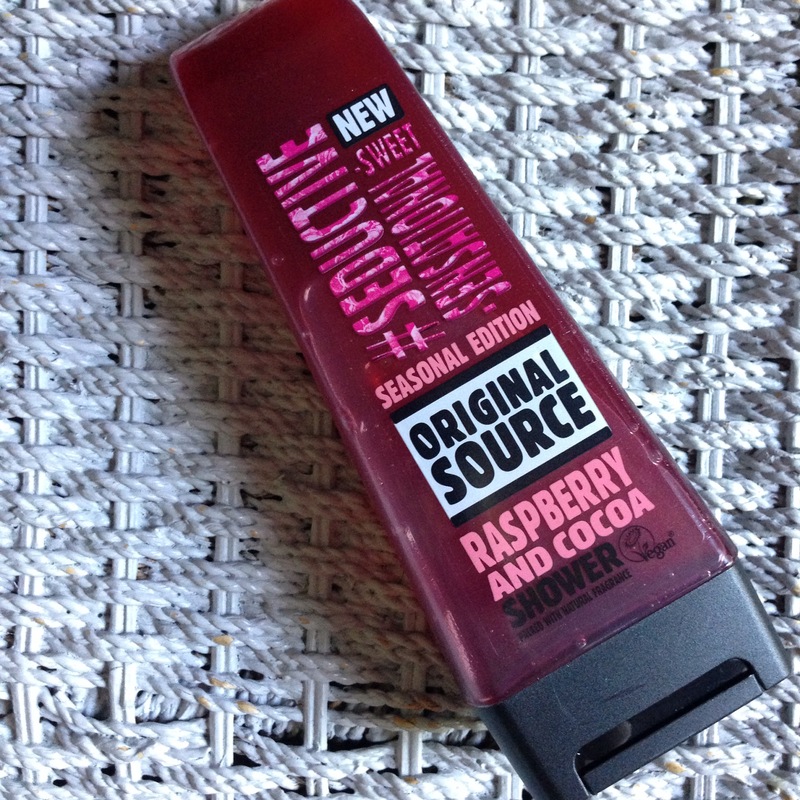 So let’s get to the most important the scent… It smells of just what it says if does: raspberry and chocolate, mmmm smells good enough to eat! The gel is a bright raspberry colour on your skin which in my opinion isn’t the most attractive looking. When I squeeze out a swirl on my sponge it reminds me of a Swiss roll cake! The formular is vegan and does it’s job of cleansing your skin really well with lots of foam leaving your skin squeaky clean and fresh. I prefer a luxurious feeling creamy cleanser with less foam that leaves your skin feeling hydrated. The scent of this sweet seductive shower gel is most definitely it’s selling point. It’s tempting to try out all others in the range specially with such a low price point however, I’ve decided that it doesn’t really suit my skins needs. Have you tried any of the intense new versions? I’ve just read that they have a new all-in-one moisturising shower gel on offer.